Bass fishing books can help inspire, teach, and propel aspiring and professional anglers in their bass-fishing ventures. From knowing exactly where the best spots to fish on a lake are to the best times to fish, seasonal impact, bait and fly-tying techniques, and the history of the hunt, your fishing skills and understanding of the bass species will increase exponentially. Whether you're a novice or an experienced bass angler, learning about the different varieties of bass as well as various fishing and baiting techniques can make you a better angler. 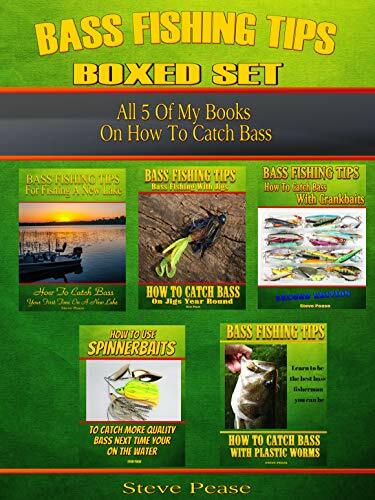 This boxset containing Steve Pease's five bass-fishing books can help you combat the challenges facing the weekend bass angler. Pease shares his tips and tricks of fishing for bass that he has acquired over his 50 years of fishing. Pease has written thousands of articles and experienced many of the bass fishing techniques and secrets. This boxset is a compilation of all that tried-and-true knowledge. So, before you hit the lake, hit the books! Don't let your fishing game suffer by forgetting what you've learned in between fishing trips simply because you can't fish enough. I can promise you will come home with more bass after you've read these books. 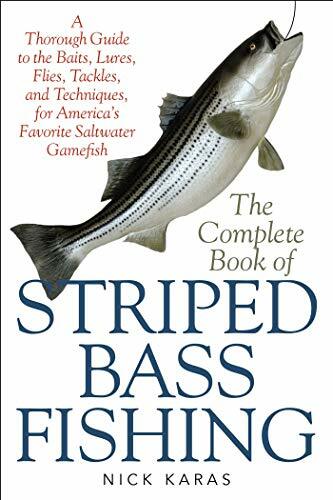 This Complete Book of Striped Bass Fishing in fresh and salt water could be one of the most informative and helpful books written on the topic. Nick Karas is one of the world's leading experts on bass fishing, and in this guide, he shares his knowledge and experience with the world. An entire section in the guide is dedicated to tackling where he examines the different lines, rods, reels, lures, baits, and fishing equipment of all kinds. For someone just starting out and wanting to fill their fishing-equipment arsenal, this section is particularly useful and informative. 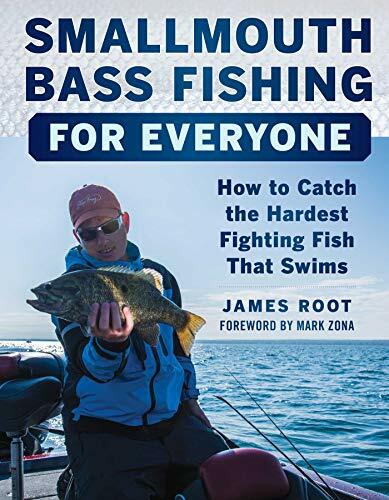 The book is a definitive guide on the subject, and for enthusiasts wanting to know every detail of Striped Bass fishing and the accompanying accessories and equipment, this book delivers a big bang for your buck. Smallmouth bass fishing is not for the faint of heart. Your success at it will depend on some factors including weather, season, tackle, and strategy. With so many factors to consider, doing a little due diligence beforehand can up your likelihood of having a successful day on the water. Jim Root has experimented with all these factors and shares his discoveries and advice with his readers in a straightforward and entertaining way. Root discusses various scenarios such as location and season and puts forth what to look for, how to fish, and what to expect. His book is filled with almost 150 stunning colorful photographs to accompany his informative writing. This beginner's guide is ideal for someone starting out and wanting to arm themselves with some knowledge beforehand. 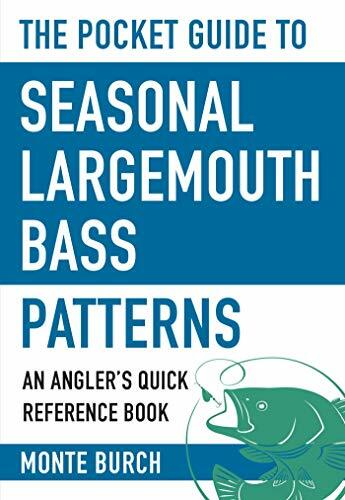 It is also suitable for those wishing to fish for smallmouth bass throughout the different seasons and need to gain a better understanding of the changing water conditions that accompany seasonal changes. 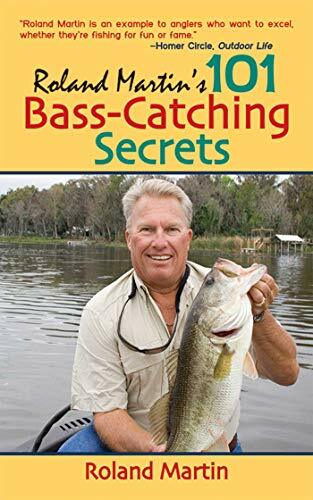 If you are interested in learning some vital bass-catching secrets, Roland Martin is your guy. After winning numerous tournaments, Martin is regarded as one of the best bass fishermen around. He is an endless source of information from where bass strike and how to encourage them to do so, the best bait to use, plugs, night fishing, and how to use the nature around you to your fishing advantage. This book is not only filled with valuable insights and information on bass fishing, but it is also an entertaining read as Martin includes personal anecdotes on his most adventurous fishing days. The story of how he had to fish five rods at once during a fishing frenzy will intrigue numerous readers and fellow anglers. If you want to learn how to catch more bass and hear some great stories in the meantime, these 101 secrets should definitely be on your radar. As the most popular game fish in the United States, largemouth bass are appealing to anglers of all ability and experience levels. In his guide, Burch discusses where the big bass can be found, as well as how to catch them and entice them to strike. The guide contains eight easy-to-read chapters documenting the life cycles of a bass, starting in Spring right through to Winter. There is water-condition information such as temperature and conditions listed in each section, giving readers a thorough understanding of how to fish during different seasons. 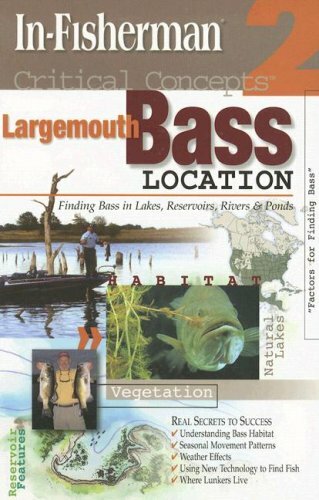 The book also contains valuable maps documenting where the best locations are for bass fishing, as well as a lot of discussion on the best gear to use, where to buy it, and when to use it. This updated edition includes new color photos and is an easy and lightweight reference source to carry with you on your fishing adventures and escapades. With fishing increasing in popularity, especially in the western states like Colorado and Idaho, Zimmerman explores places around the country that are the best for locating and catching largemouth and smallmouth bass. 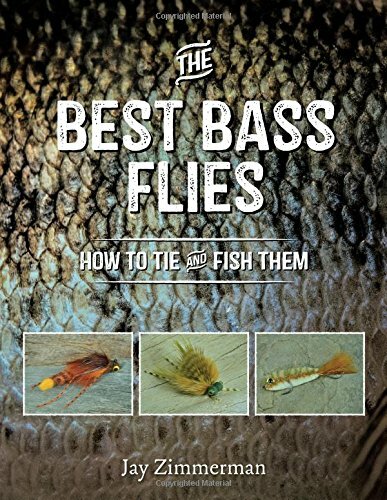 He also spends a significant portion of the book discussing the various methods for fly-tying and the benefits of each. As bass are so prolific and widespread, Zimmerman's advice spans numerous areas of the states where they are found; hence this book on bass fishing is applicable for anglers throughout the country. Big bass angler Bill Murphy has become a legend when it comes to trophy fishing. 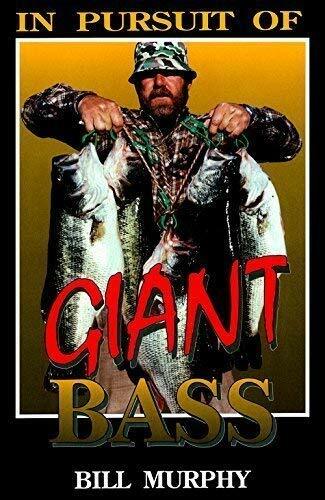 In this book, Murphy highlights the differences between bass fishing and trophy bass fishing. This comparison is an interesting telling of a different angle on angling. 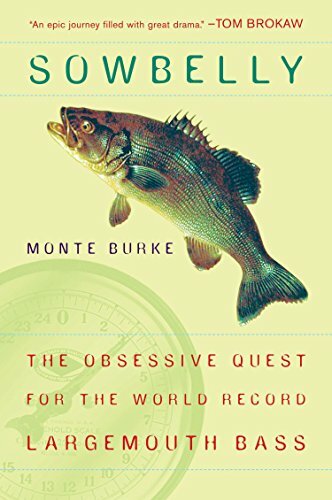 With the author's reputed expertise to include fishing techniques ideal in water depths of more than 30 feet, Murphy is described by fishing fans as being godlike in his pursuits. Readers of Murphy's book have reported an increase in the sizes of their catches, as well as the ease with which they are caught. Including information on the best locations for large bass as well as the preferred bait and tackle techniques, Murphy takes his readers along for the ride with him in a humorous and informative way. In Pursuit of Giant Bass will help readers do just that: catch the largest bass of their fishing careers. If you want to learn how to be a successful bass fisherman, Kevin VanDam is the man to teach you. His professional success and knowledge regarding how to get bass to strike and where to find the best fishing locations is invaluable. Kevin also describes adapting different luring techniques to challenging fishing situations. His book features an exciting retelling of his strategies that won him the 2001 Bass Masters Classic. 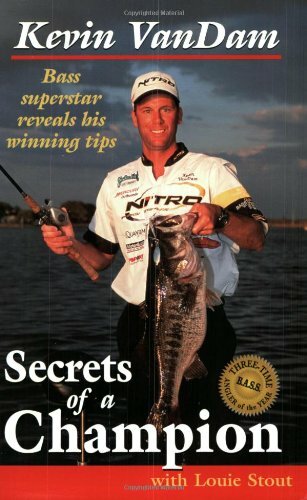 If you want to fish like a pro, Secrets of a Champion is the book for you. In this comprehensive guide to largemouth bass location, bass anglers are guided on the best places to find largemouth bass across five continents. This book helps anglers find fish at any time of year and in any body of water. Shedding light on the puzzle of largemouth bass fishing and location, Concept 2 focuses on understanding the seasonal movements and patterns of the fish. Each season chapter details the impacts of weather changes and the accompanying water conditions. This comprehensive guide is the ultimate source when it comes to understanding the fish and the subtle factors such as wind and air pressure that dictate the largemouth's location and habits. This book will get you excited to hit the water and try out your newfound understanding of the largemouth bass. Monte Burke recounts the tale of the largest largemouth bass caught on record. Weighing in at 22lbs 4ozs, this fish has inspired decades of anglers on their quest for an equally-large accomplishment. … will tell you, fishing is an art, not a sport. From being in tune with the weather, seasonal changes, water conditions, and numerous other fluctuating factors, a champion fisherman respects the water, the fish, and the process. They must also be able to read nature and know how to use the nature around them to their fishing advantage. The aforementioned 10 books on bass fishing have something to offer every angler type from novice to pro to weekend fisherman. Not only will readers glean the knowledge and experience of the authors, they can also share in their triumphs and mythical pursuits. Wow. Incredibly humbled to see my book included in this list. Thank you! Glad to have you on the list Jim! I have read “The Complete Book of Striped Bass Fishing” by Nick Karas.